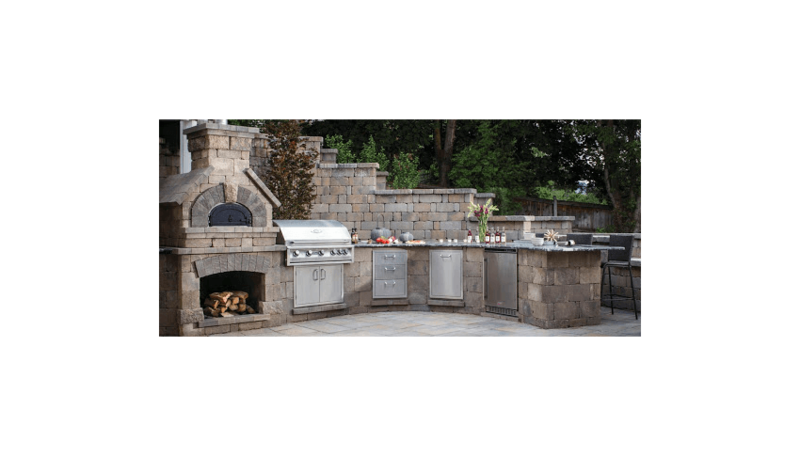 Dreaming of an outdoor kitchen and living area? With more seasonable weather in St. Louis, enjoying being outside many more months of the year is possible. 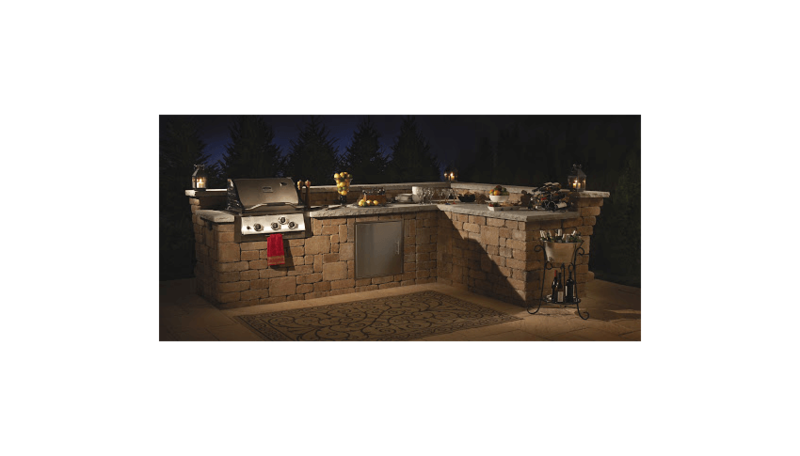 Now you can have an outdoor kitchen and bar that adds to your living and entertaining space and keeps your indoor kitchen mess-free! 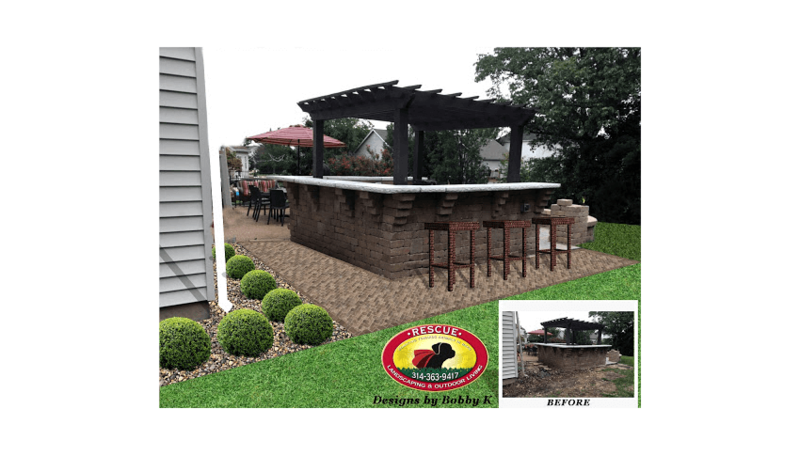 Your Rescue Landscaping outdoor kitchen and bar will be the focal point of entertainment in your backyard. Not only will it be functional, but it will also be beautiful and inviting, and dare we say – the envy of the neighborhood. 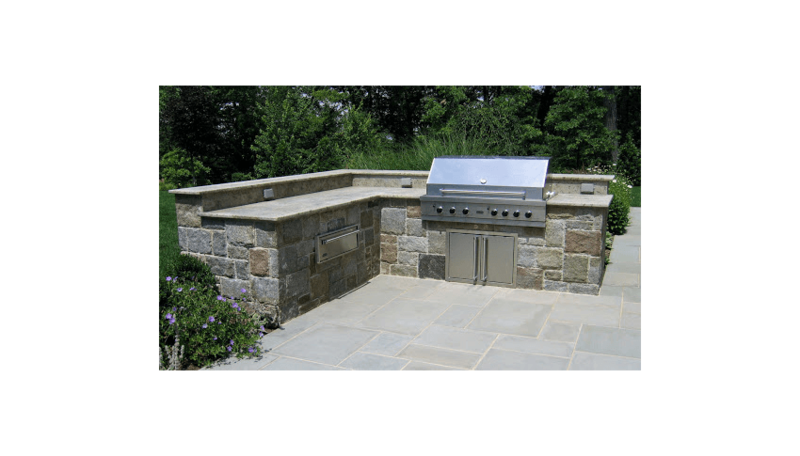 Rescue Landscaping & Outdoor Living will work with you to design your new outdoor kitchen custom to you. Want it under the cover of a pergola or porch? We can do that. Want it nestled under a tree canopy or off the side of a pool area? We can do that too! We go the extra mile to give you peace of mind that what you’re planning will be amazing when finished with a 3D computerized drawing. You can see your new kitchen design before construction ever begins. We provide many options when it comes to layout, style, appliances, colors, and more. 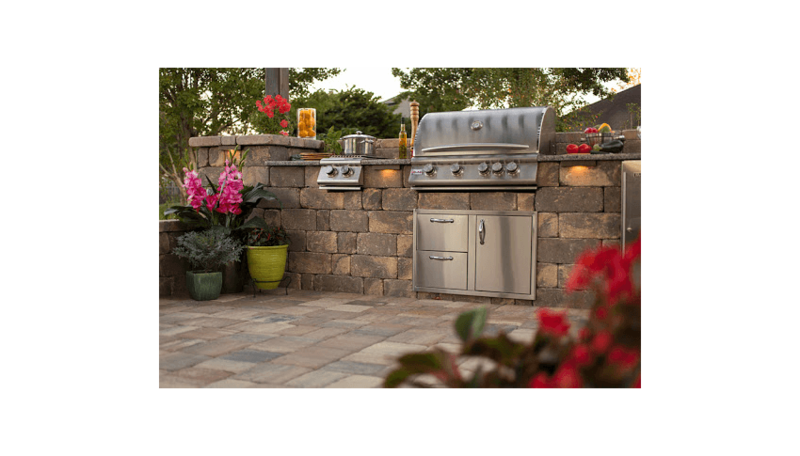 Our design experts will work with you to design and layout the perfect kitchen so you are more than satisfied with your final project – you’ll be thrilled and excited to get the backyard party started. 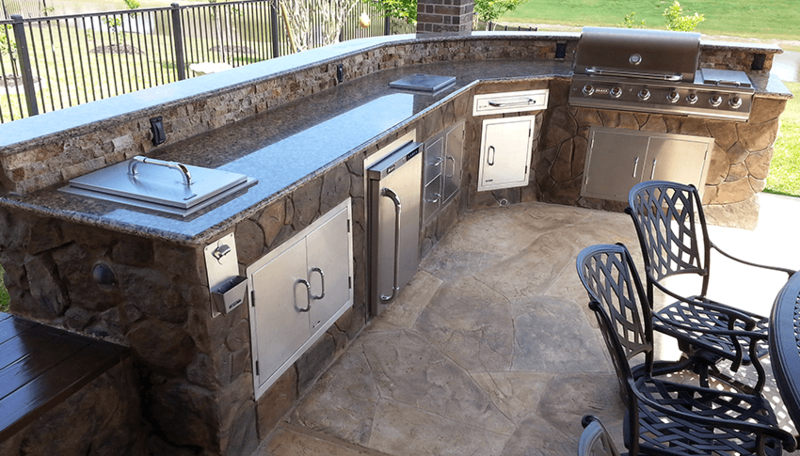 Rescue Landscaping’s unique building process allows you to design your outdoor kitchen exactly how you want it with a little help from our design expertise. This makes every kitchen we build truly unique to you and your backyard. You can choose from a wide variety of materials for your kitchen, including gorgeous stones, stacked stones, and stylish block for the surround, and nature-inspired, durable limestone or granite for the countertops. We offer personal service, expert design, on-time appointments and delivery, high-end service and manufacturer warranties, the latest technology, and high-quality supplies and fixtures. We also offer many landscaping services to showcase the beauty of your home and maintain your new outdoor living space and landscaping with grace, beauty, and function. Contact us today for your risk-free kitchen quote – you’ll be surprised how affordable and simple the process can be.